Van Sales forms the most essential part of the supply chain, especially for the FMCG industries. In my last blog on Van Sales, I explained the type of industries that can benefit the most from Van Sales. 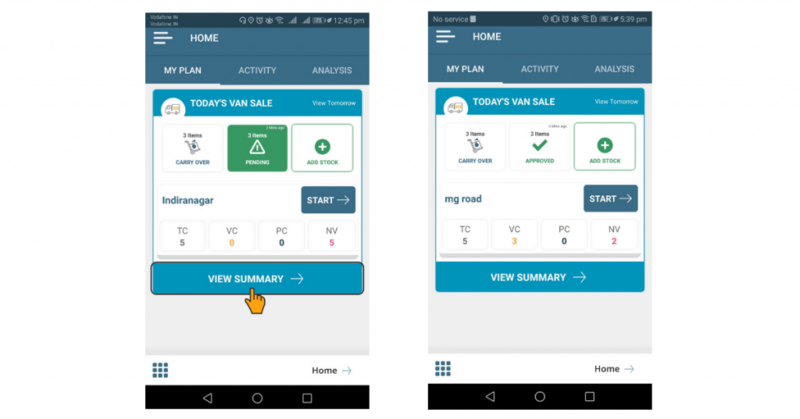 In this blog, I go a step ahead and explain how SalesDiary can be a good choice to automate your Van Sales. 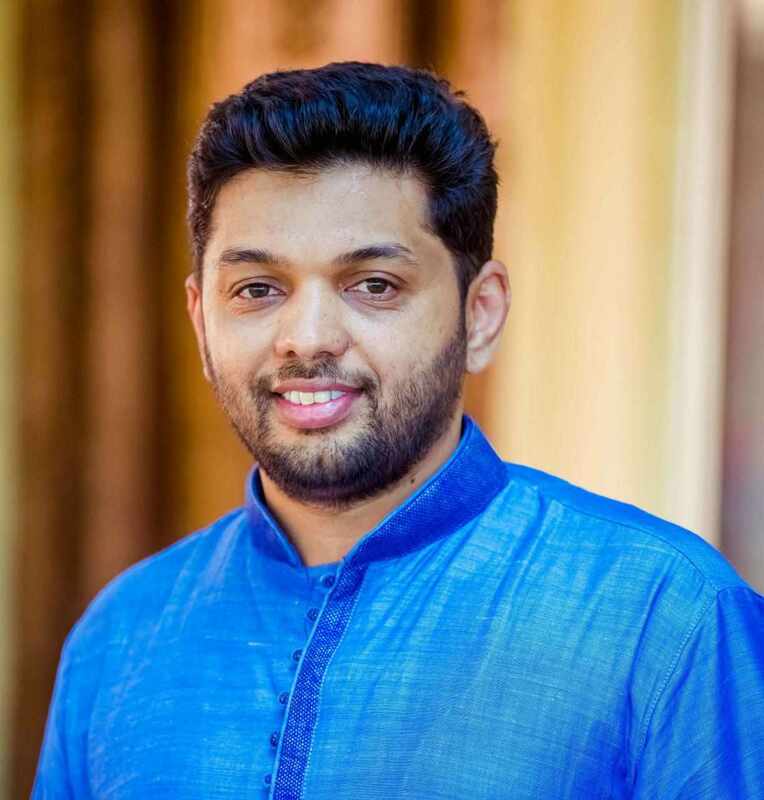 SalesDiary is the smartest Sales Force Automation tool available in the market which is powered by AI. The tool is easy to implement and simple to use and can be adopted by the entire van sales team in no time. a) Previous day stock: Carry forward your previous day’s unsold stock as Opening Stock. A verification feature makes the record more reliable. 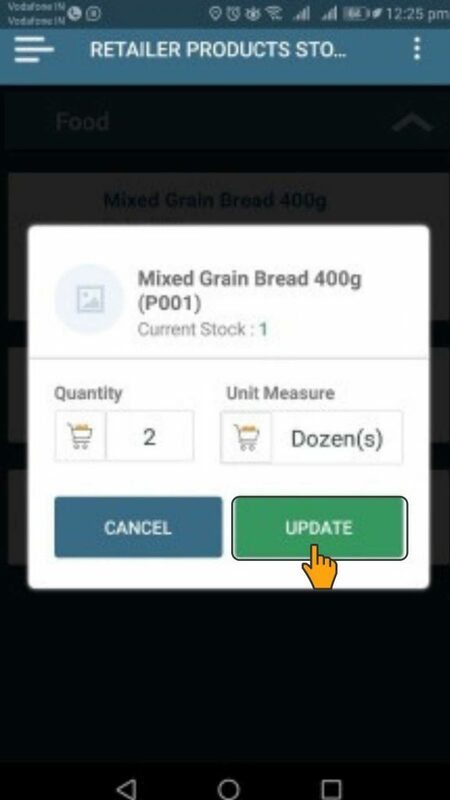 b) Approval for fresh stock: In-app request for fresh stock for the warehouse manager as per day’s schedule. c) Picklist creation: Create picklist in print for warehouse manager for convenient stock picking from the warehouse. 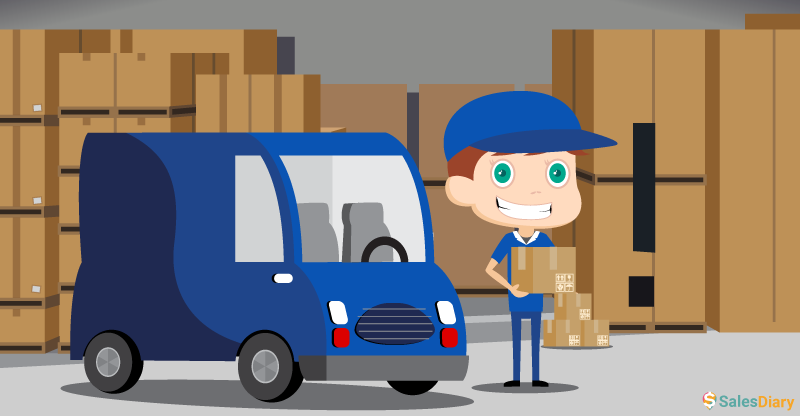 d) Two-way Inventory transfer confirmation: The SalesDiary system has an order confirmation to match the requisites from the van sales executive with the available stock with the Warehouse Manager. The 2nd step of approval is for delivery of the available stock the Van. a) Route Plan: Get the complete list of outlet for the day. 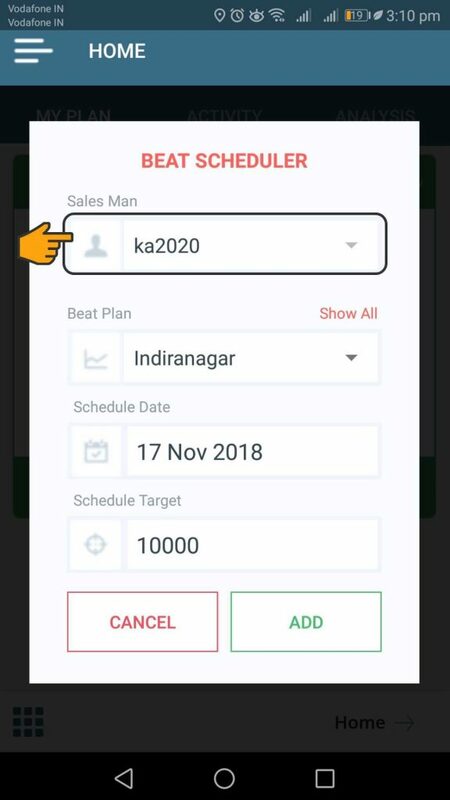 SalesDiary advanced AI-driven tools help you schedule visits based on order frequency, outstanding payments, outlet stock, Promotional Activities, etc. b) Route optimization: With SalesDiary’s advanced AI driven tools, you can manage your sales route as per your day-to-day needs. c) Route assignment: SalesDiary allows route assignment useful in case of contingencies like absenteeism, vehicle breakdown, etc. d) Van assignment: Assign specific routes and outlets based on Van availability. 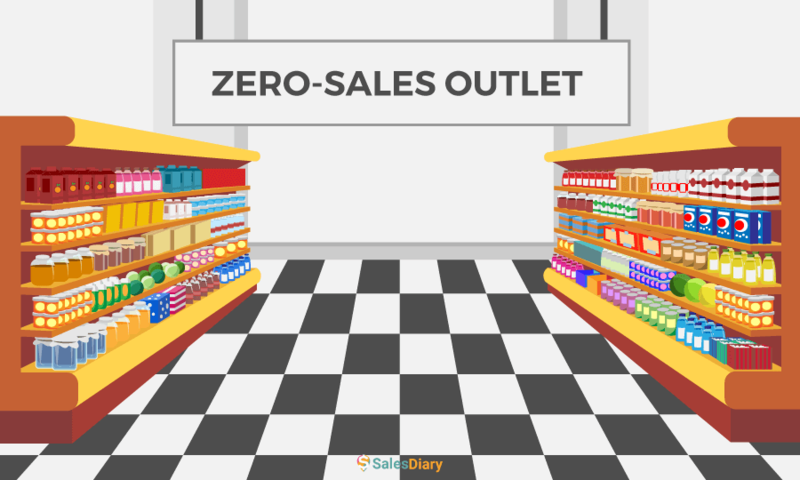 e) Zero Sales Outlets: Get a list of zero-sales outlets on a given route to prioritise the day’s schedule. 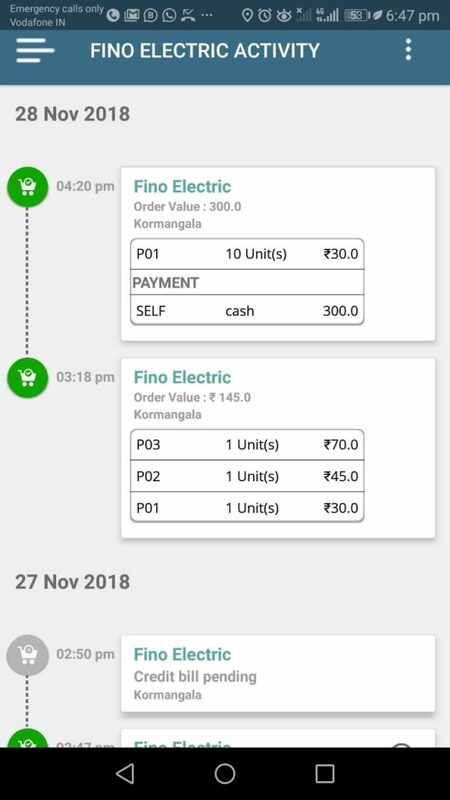 a) Order and Delivery execution: Get actionable insights like Past Orders, average bill value, order frequency, outstanding payments, outlet potential, etc right at the time of taking the order. Support your team with intelligent, relevant information to increase revenue and efficiency. 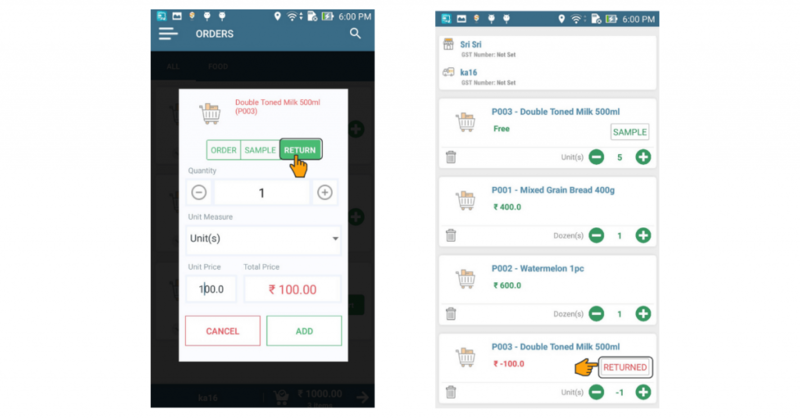 b) Mobile POS: Bluetooth Enabled Thermal Printers easily integrated with the SalesDiary system for fast Van Sales Operations. c) Stocktake at retail outlets: Record outlet stock on every visit. Analyse stock movement and get information of ageing stock. d) Merchandising and shelf analysis: Capture information via images and text about the BTL activities, planogram and competitors products. 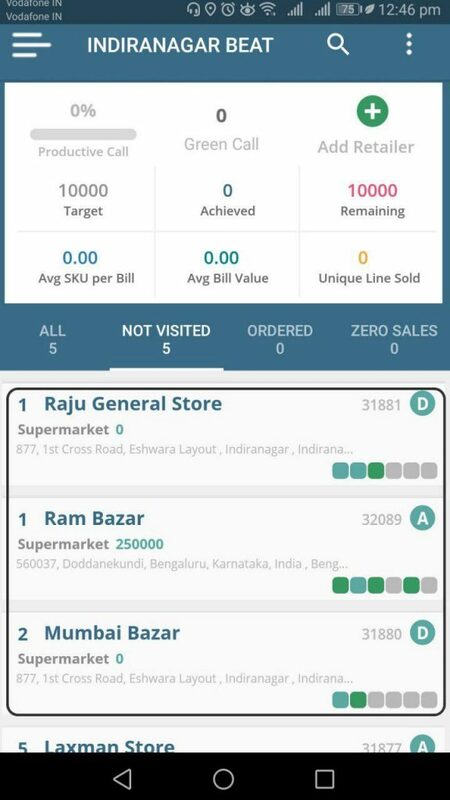 e) Schemes and Promotions: The SalesDiary app gives a list of applicable schemes for specific retailers. Tailor-made schemes for higher acceptance. f) Customer Surveys: The survey feature lets you build a questionnaire. The system can accommodate separate survey forms for consumers, retailers, distributor etc. 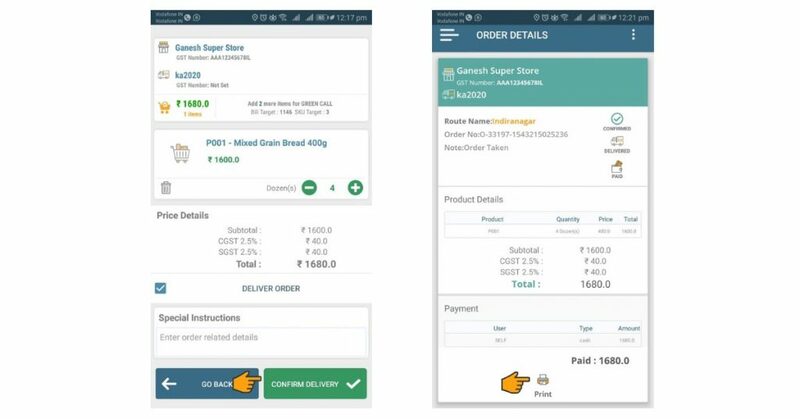 g) Samples, Returns and Damages Management: The SalesDiary system facilitates management of free-samples, returns, replacements and expired goods. The system records all transactions with time & dates stamp and location. h) Expense management: The Van sales executives can record expenses with photo proof. The admin has the rights to approve/disapprove before settling the accounts for the day. 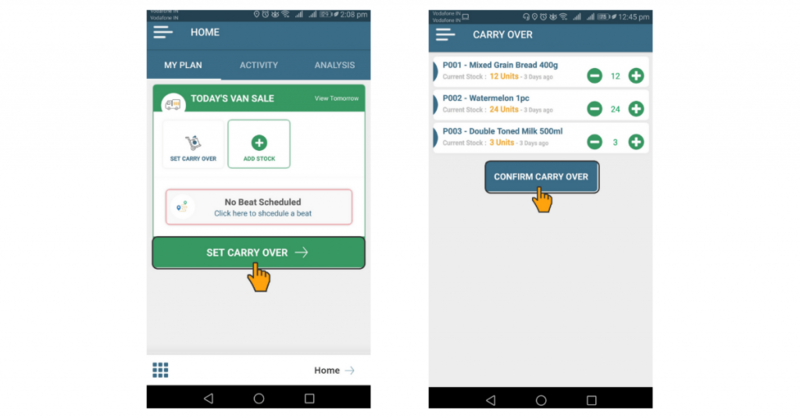 a) Stock Reconciliation: The SalesDiary app records the stock movement in and out of the van. It helps in physical verification at the end of the day giving the accurate stock status. 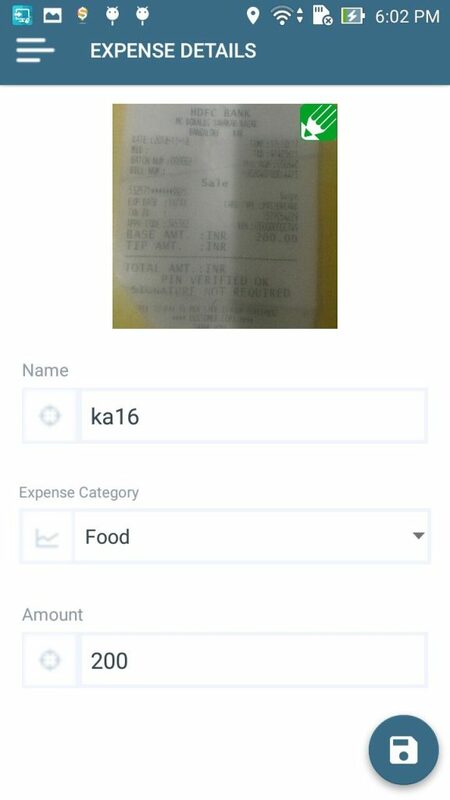 b) Cash/Cheque/Expense Reconciliations: SalesDiary records all transaction and calculates the Net Payable by the Van Sales Executive to the Distribution hub. c) Route Analysis: Analyse the day’s activities with a key focus on KRAs and KPIs. 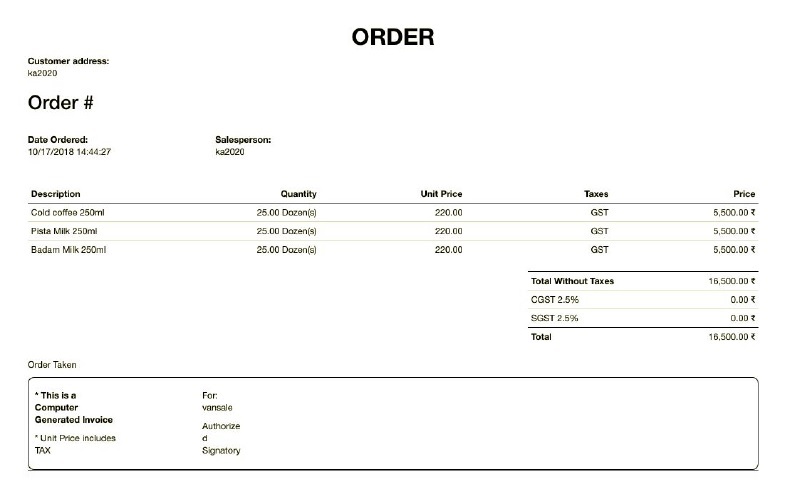 d) Outlet Analysis: Get a list of orders received along with cash/cheque received and credit sales. Automating Van Sales reduces time to serve an outlet by 60%. This leads to a 40% increase in the number of calls per day. By increasing the number of calls made per day, the frequency of visits also increase. Regular visits and stock updates lead to faster replenishment. SalesDiary helps in optimising the routes and increases the efficiency of the Van Sales Executive. Route optimising helps in saving fuel and time thereby reducing delivery costs by at least 30%. 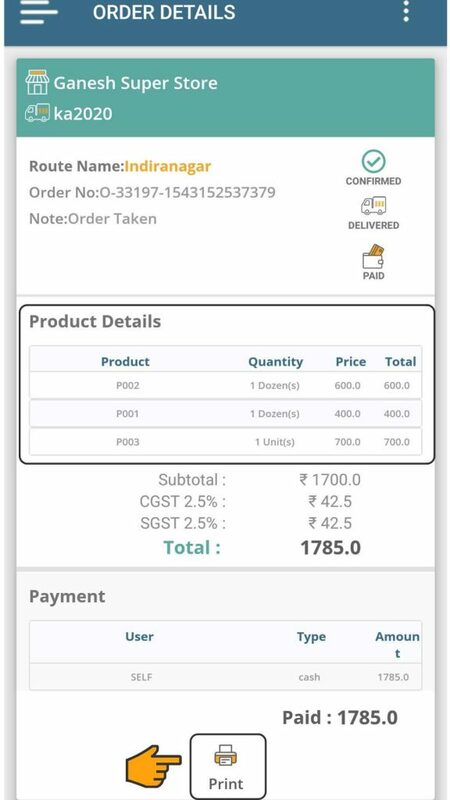 With SalesDiary, you can have real-time updates on your stock from order taking to its delivery. Automating sales process helps your sales force to focus on their efficiency on-field, rather spend time in the reporting process. 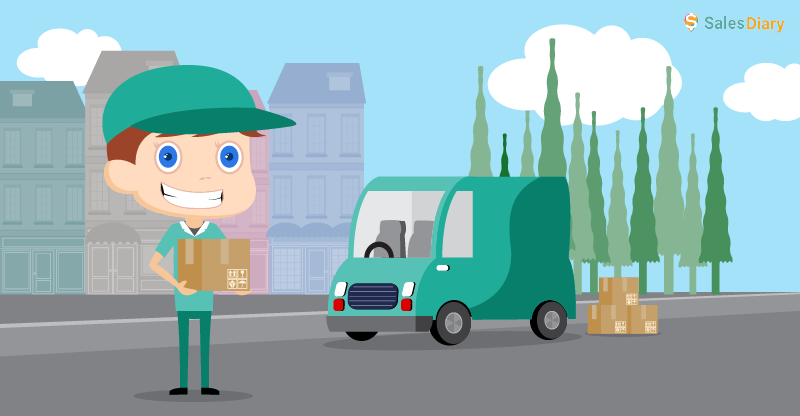 SalesDiary helps Van Sales function like clockwork. To make any deviation in location, timing, products, routes, etc can be notified to the manager real-time. This helps in taking immediate corrective actions. With authentic firsthand data being captured every day, demand forecast with respect to area, products and seasons is more accurate than ever before. A concise snapshot of the day’s operations are captured in the EOD summary.Saves hours of manual calculations, cash & stock reconciliations and bill submissions. 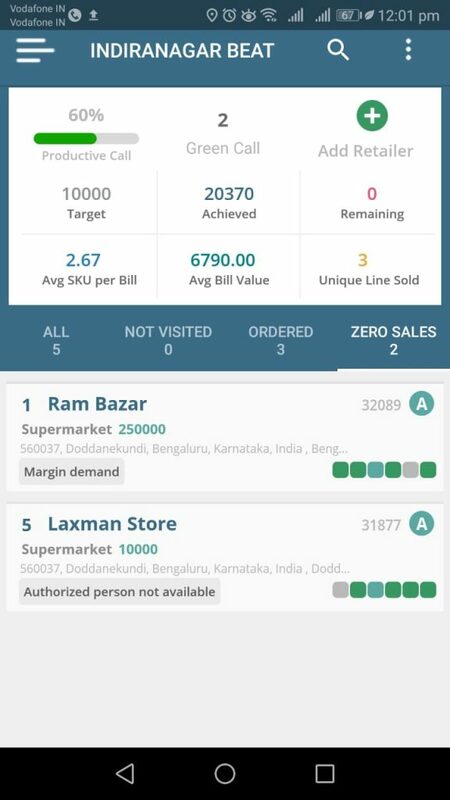 SalesDiary comes with advanced features to simplify your sales process and take care of the activities end-to-end. It helps you eliminate the tedious manual tasks so that you can focus on improving the efficiency of sales.